England thrashed India by 118 runs to clinch the series 4-1 in the recently concluded fifth and last match of the Test series. England thrashed India by 118 runs to clinch the series 4-1 in the recently concluded fifth and last match of the Test series. The second and fourth innings of the final Test, played at Kennington Oval in London, saw a bit of drama as Ravindra Jadeja – Hanuma Vihari and KL Rahul – Rishabh Pant kept India’s hope alive for a long time. On Tuesday, the contest between India and England looked quite promising, and if the visitors had stayed for an extended duration, a draw was definitely possible if not a win. Virat Kohli’s boys will not be happy with their performance as they had the chance to bounce back in the series but failed to do so. 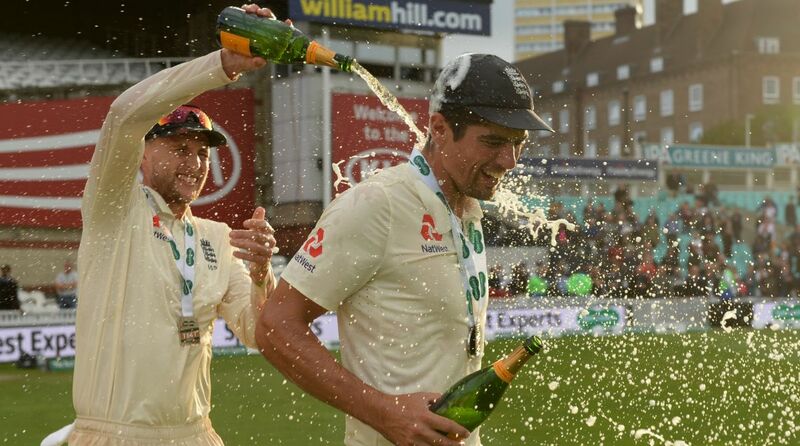 However, the England team would be happy with the win as they were able to provide a perfect farewell to their record run-getter, Alastair Cook. The 33-year-old English man had donned the white jersey for England for almost 161 Tests. 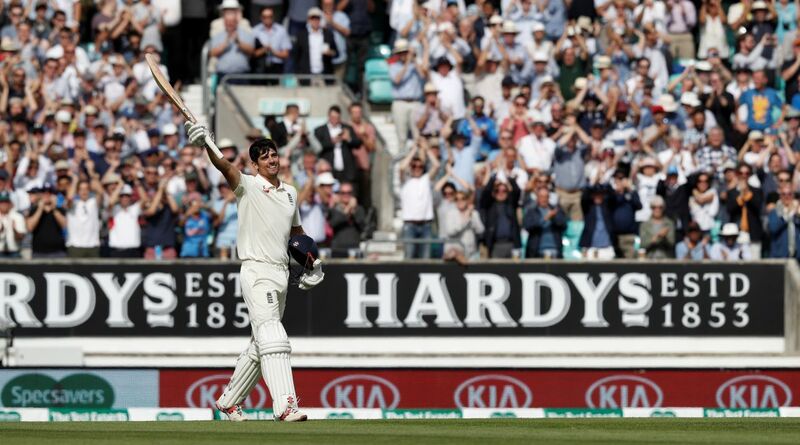 On Monday, the world witnessed one of the biggest standing ovations as English fans bid goodbye to their all-time legend Alastair Cook, who is also the highest run-getter of England in the longest format of the game. Cook had scored a fifty and a three digit score in his debut Test against India in Nagpur, and he repeated the performance in his last Test match by scoring a half-century in the second last innings and a marvellous ton in the last innings of his career. In the process, he became the only cricketer to achieve this feat in the history of Test cricket. In his last Test match, Cook also pipped Kumar Sangakkara to become the fifth highest run-scorer in the history of Test cricket. The 33-year-old English man now also has the most runs by a left-hander in Test cricket. 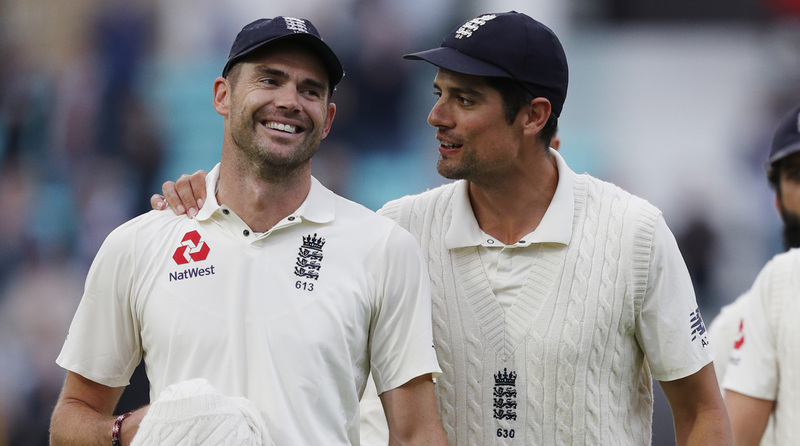 Cook had bagged white jersey for England for almost 161 Tests and scored 12,472 runs for his team with the help of 33 centuries and 57 half-centuries. 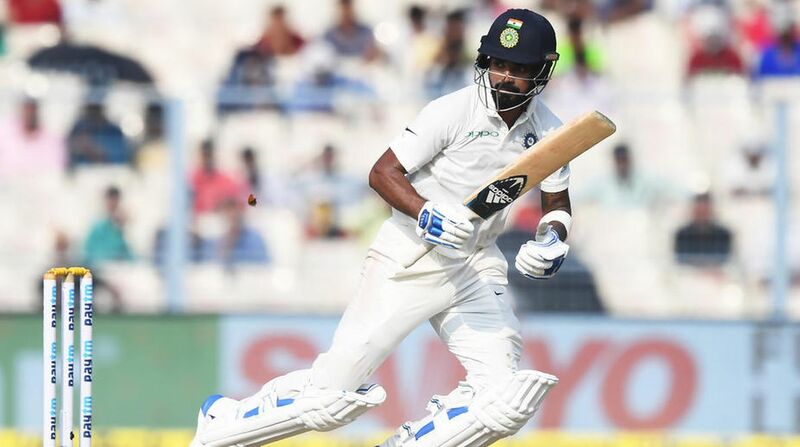 Before the start of the fifth Test match, India’s upper order batsman KL Rahul was heavily criticised by cricket experts as well from the fans. There were even talks to bench Kl Rahul to make way for young Prithvi Shaw. However, Virat Kohli kept his faith in KL Rahul giving him another opportunity, and the 26-year-old batsman rewarded his skipper’s faith by putting up a splendid show with the bat in the fourth innings of the final Test match. After repeated failures in nine consecutive innings, KL Rahul scored a brilliant 149. Barring his magnificent outing in the last innings, KL Rahul had a forgetful Test series. He has scored just 150 runs in nine innings and his highest score was 37. Star English pacer James Anderson on Tuesday become the most successful pace bowler in the longest format of the game by surpassing Australia’s Glenn McGrath. On the last day of the final Test, Anderson bowled Mohammed Shami to claim his 564th wicket in Test cricket and in the process surpassed Glenn McGrath’s record of highest wickets in the longest format of the game. Before Tuesday, Glenn McGrath held the record of most successful fast bowler in terms of wicket tally. McGrath had taken 563 wickets for Australia. James Anderson now has also become the fourth highest wicket-taker in Test. The 36-year-old Englishman is now only behind Sri Lanka’s Muttiah Muralitharan (800 wickets), Australia’s Shane Warne (708 wickets) and India’s Anil Kumble (619 wickets). Young Indian wicket-keeper batsman Rishabh Pant on Tuesday slammed his maiden international Test century and put up a 204-run stand with KL Rahul and had kept the visiting team’s hope alive in the second session of the day. Just like KL Rahul, Rishabh Pant was also playing to secure his place in the test team. Before the fifth Test, Pant was under fire, his wicketkeeping was average, he also conceded record number of a number of byes in the series. Pant was also criticised for his batting style. On Tuesday, Pant was fearless in his approach and for a moment India camp had a slim hope to end the series on a positive note by winning the lost match. Pant scored 114 runs off 146 balls with the help of 15 boundaries and 4 sixes. Ravindra Jadeja had a forgetful outing one year ago at the same venue in the finals of the Champions Trophy 2017, when Pakistan defeated India to claim the CT2017 title. 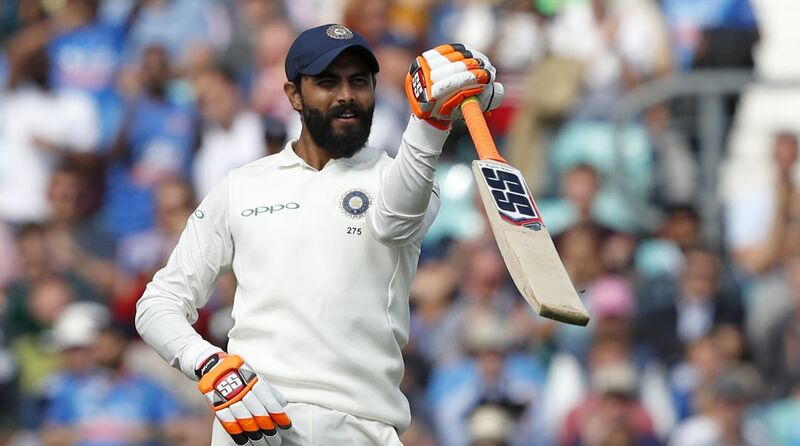 And after almost one year, Ravindra Jadeja redeemed himself by playing a brilliant knock in the first innings of the final Test match at Oval. Jadeja’s outing against Pakistan had cost him his spot in the Indian side. However, after his performance at Oval, he will aim to get his spot secure in the Indian team.